One of the most revolutionary concepts in Wife for Life (at least that’s how many women react to it), is the idea that a woman has many life dreams, while her man (generally speaking) tends to be more linear in pursuing his life dream, or “quest”. 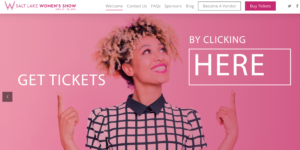 What seems to many to be even more unfamiliar, is the assertion that a woman doesn’t have to subvert her own goals, dreams, or passions, in order to “support” her husband in his quest. I personally feel strongly that this should not be the case, and I encourage my Wife for Life University students in particular to “live their dreams AND love their marriage”. Still, many wonder, is it really possible? I stare with awe at the Brooklyn Bridge every time I visit New York because I know that it wouldn’t be there if it Emily and Washington Roebling hadn’t faced down every conceivable challenge during its fourteen-year construction. Whenever I visit Boston, I wonder at the life of John and Abigail Adams, who of necessity, lived apart more than together during the tumultuous birthing of America. And when I enter the hospital room of a loved one, I thank God for Pierre and Marie Curie, who worked side by side nearly every waking minute of their entire marriage to produce the miracle of radium. The fact is, if we dug into the back-story of most of the world’s grand accomplishments, we would undoubtedly be impressed with how many of those accomplishments are the product of grand marriages. The term “grand marriage” is one I coined in my work to describe the ultimate union between a man and a woman. This is a husband and wife who have, over time, with concerted effort, succeeded in either facilitating one another’s life-dreams, or in sharing a single dream to great effect. I call the process “dream weaving”, and it is possible, or might be aspired to, by any married couple that is ready to be fully equal, fully inclusive, fully vested. The trust and respect required in a partnership of this caliber is obvious, but what might not be so discernible (and what differentiates it from other forms of partnership) is the mature, romantic love that prompts each spouse to make one another’s self-development, accomplishment, and happiness pre-eminent. 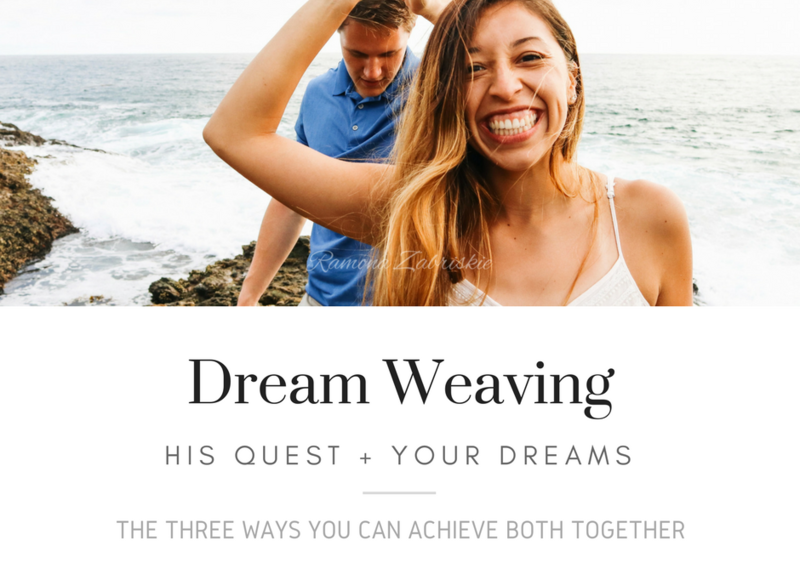 When a loving couple acts on the natural desire to see each other succeed at making a difference, “dream weaving” inevitably ensues. Shedding: This is the motion in fabric production where the ends are separated by raising or lowering the heddle (loom) frames to form a clear space where the “pick” (the crossing thread) can pass. In dream weaving, this simply means a couple must make room for one another’s passions or pursuits. Woodrow and Ellen Wilson’s private family life was gone forever when his career took unexpected leaps to the White House. Though she grieved their lost lifestyle, Ellen made the needed adjustments to accommodate her husband’s responsibilities to the greater world. Picking: In this motion, either the weft or the pick (one of the two threads) is advanced across the loom. So in the art of dream weaving a husband and wife must sometimes alternate which (or whose) dreams are on the front burner. Like the two threads of the loom, one is propelled forward while the other holds taut. As the first celebrity chef in the early decades of television, “Julia Child” was in fact a brand that meant Paul and Julia Child. The two were absolute partners in the realization of Julia’s dream, but only after she had followed Paul from one state department post to the next for many years. Battening: The final motion required of the weaver entails pushing the weft (the longitudinal thread) up against the fell of the cloth, tightening up the irregular distances. Left too loose, there is no fabric; the threads fall apart. Just so, couples mastering dream weaving purposefully remain tight, engaged, and equally enthused in their shared undertakings. Lillian and Frank Gilbreth shared equal parts parental and household responsibilities, which is impressive enough with twelve children, but they did it while also pioneering the fields of engineering and management. Dream Weavers can, with patience and determination, and by consistently lending practical and emotional support to one another, end up with a tapestry so solid and stunning, the results are generational. My husband and I are both descended from grand marriages, which fact has had a direct and profound impact on our own marriage, which is impacting our children’s marriages, which is now impacting our grandchildren, and which, will, of course, affect their marriages. Our legacy romance, and that of our ancestors and descendants, will ultimately serve a far greater community than ourselves. Visionaries in love may indeed make the best partners: not just in pursuit of dreams; but in using those dreams to change the world. 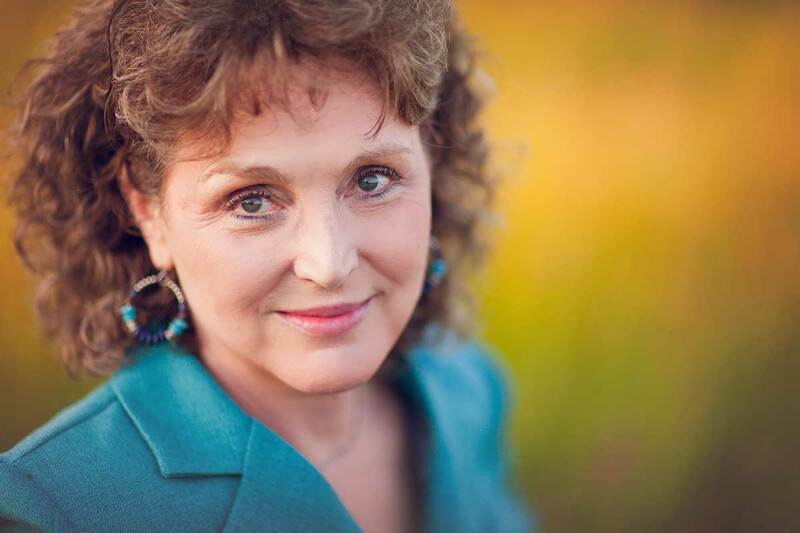 Meet Ramona and see her keynote LIVE at the Salt Lake Women’s Show April 27th & 28th! Thanks Ramona. Your teachings have helped guide my relationship with my husband. We have been married for 30 years and I love not only living a grand marriage but also teaching others and especially being a friend and encouraging my daughters in this great adventure! I like the weaving picture!! It’s so real and true! Thank you for your sharing! Our grandson tripped over my computer last summer. The screen cracked. I had it fixed but it has turned off unpredictably as I have spent hours working on my personal dream to share family stories. My goal was to limp along as is, live with my challenge, refrain from using our family funds. Yesterday, after addressing my frustration in a frank problem solving council, my husband and I drove to the computer repair shop. Together, we entertained solutions which meant significantly changing a carefully planned budget. As we retired to bed, it has been a long time since I have seen my sweetheart simply ” beam ” first, in having me help facilitate him updating HIS computer with a new operating system and together look forward to today, where my own tools will be sharper–brand new! Maybe the satisfaction comes in sacrificing to help each other complete tasks it would be harder to do alone. Wow Ramona.. !! You are AMAZING in sooo many ways.. I ❤️ your analogies & your knowledge of couples lives.. the way you share your knowledge that makes it sooo clear & doable IF we follow & put into practice (practice being the operative word..!) the principles of Wife for Life…. thank you.. loven hugs. I love this concept. This is what makes you different from the rest. How encouraging that my marriage can support my dreams too! In what ways did you pursue your dreams/how did Dale support them while you were living life with the Littles and Dale’s quest took center stage? This was a good reminder for me this week while my husband is working in another state and I’m home caring for lots of small people and accomplishing almost nothing I’d like to be doing. Thank you. Beautiful analogy and wisdom! Thanks for sharing. I’ve been thinking of this idea of partnership in marriage more lately and wondering how to make it happen. I really appreciate this way of thinking about it. Love this analogy! Give and take is what it is all about. Thanks so much for sharing! I love these reminder to keep our dreams bright, vivid and unified as we carry out our dreams- individually and also together. Thank you for helping each of us keep the quest and team of a grand marriage become a reality over and over again. (Because married couples know that marriage is never stagnant, and requires living and loving intentional efforts to deepen our love as couples while living and weaving these dreams together.). Thanks Ramona! This couldn’t have come at a more perfect time for me! I love the teamwork expressed in these three concepts of weaving and can’t wait to see what tapestry my husband and I create together! Thank you Ramona! Thank you, Ramona! Excellent comments. My husband has hinted at some dreams of his, but I want to iron those out with him and see if we can make some of them happen! This is so beautiful! Thank you for sharing. It is such a relief and blessing to see that it’s not an either-or situation: either his quest or my dreams; it’s a dance to create something beautiful incorporating both! Beautiful! I love the analogy of weaving to illustrate how we can achieve together. As I look back on our 10 years of marriage, I see where we definitely were in the “picking” process – and for awhile my dreams/career came first while he was figuring out his ultimate quest and now, years later, it is his dream/career that we are focusing on more together. Seeing this perspective has made a huge difference in my attitude and ultimately our marriage. I love thinking about how the choices my husband and I make having a lasting effect through generations of our family I will never even meet. What a wonderful legacy to leave behind and pass down – a grand marriage! Thank you, Ramona, for this clarifying email about living out dreams within marriage. For a long time, we have been in the “picking” stage, are now in the “shedding” stage, and are about to step into the “battening” stage (which is exciting for me, as I have been the “behind the scenes” partner for a long time). I am committed to remaining focused on supporting each other in our pursuits, to see them as dreams lived together even though they are not experienced together, Arm in arm, onward! 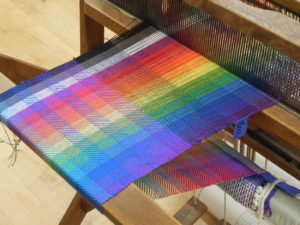 Dream weaving… What a neat analogy! So cool. What also came to mind was thinking of the two separated warp layers as husband and wife, and God as the weft that binds them tightly together if they will accommodate him! Thank you for this broken out explanation. 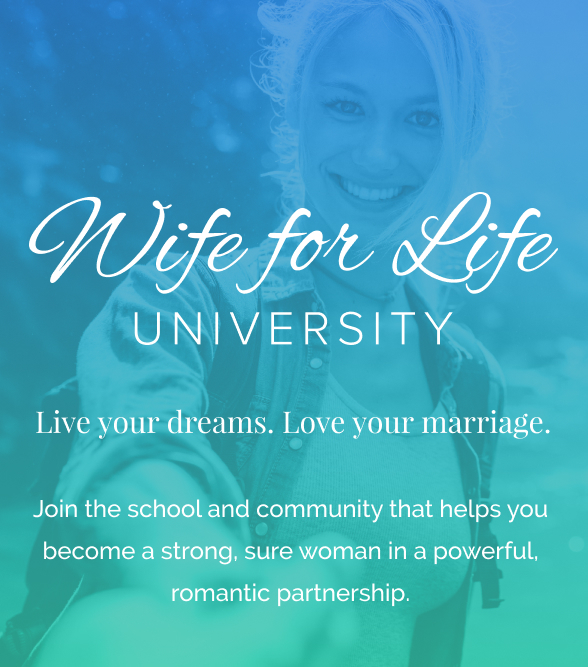 I love in Wife for Life University how we explore the grand marriages in history and how they dream weaved. It can be hard to have what seem like very separate paths while building a life together. This explanation really helps to clarify a vision of how to weave those paths. Thank you for another great metaphor to solidify such principles and concepts. When I originally decided to watch your webinar, which led to reading the book and then taking W4L university, it was for my daughter because I want to have a grand marriage so she would have a great chance of having one day as well. This is the best thing I have done for myself as well! Can’t thank you enough! LOVE. As always, thanks for some wonderful wisdom and beautiful, descriptive analogies! Thank you, it’s really inspiring! 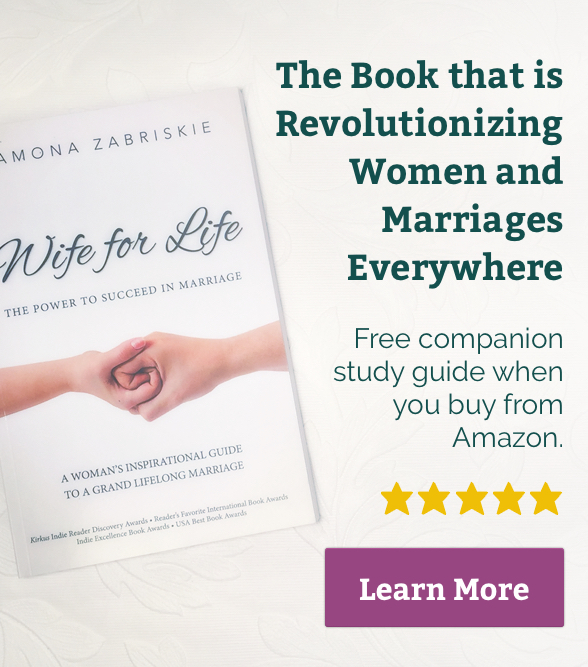 Dear Kat, I hope you will read Wife for Life: The Power to Succeed in Marriage because how to help or motivate your guy is in there! It’s too much for a response here; the answers are comprehensive and multi-layered! Suffice it to say, as his wife, you have great positive, influential power! Ramona, I love how you paint pictures with metaphors, and especially the way you teach with examples of couples from the past. It’s so inspiring to me to hear true stories of women who didn’t sit by and wait for their dreams to come true! You have a beautiful way with words, I am always inspired when I read your writing. I love the idea that we each have a different season to move forward with our dreams or hold back and let the other grow. That’s true partnership! I love reading about well known couples who are dedicated to each other. Thank you for sharing their dream-weaving successes.